It's official, girls are entering Boy Scouts, at least in Molalla. Katie Ceja the Den Leader for her Cub Scout group says her daughter Aracelie has joined and she expects three more girls to join this fall. Ceja doesn't expect it will take long for more girls to join the pack. She's planning on sending out fliers and they will have an open house at various schools on Oct. 9. She also plants to put fliers up and talk to her fellow parishioners at Liberal Evangelical Church in Molalla. She's bilingual and said she thinks this will help to educate parents about scouting. "I don't think it will be hard [to get more girls into Boy Scouts. There were girls at Scouting Camp this summer," Ceja said. Right now she's looking for girls going into kindergarten through fifth grade, she said. Each year is a different part of Cub Scouting. For example, those in kindergarten are lions; 1st grade are tigers; 2nd grade are wolves; 3rd grade are bears; 4th are Webelos I; and 5th is Webelos II. Girls wear the same uniform as the boys. Blue shirt, dark pants, red scarf and blue and red cap. But what's more important, according to the Scout website is that with the advent of girls, families can participate together allowing the entire family to work together. Most of the skills are the same too, said Ceja. "Girls also will learn some knife skills, knot tying, archery and wood skills. They will do community service projects, make bird houses and wagons and build cars for the Pine Wood Derby." Dan Cushman, Pack 257's Cub Master is ready and willing for girls to join. "I don't think recruiting girls will be too hard," he said. "All they have to do is fill out an application. We ask that they attend meetings three times before they commit," he added. Boys and girls together is a work in progress, he said. "Boy Scouts of America is working on incorporating girls into Boy and Cub Scouts. The leadership program is important. We insist that no one leader is alone with one scout," Cushman said. 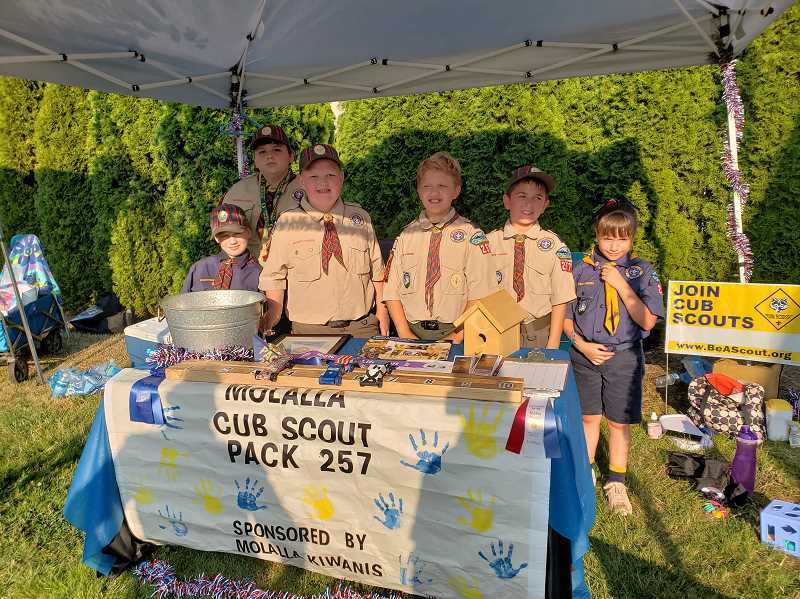 Cub Scout dens contain 6- to 8-youth within the pack that meets several times a month between pack meetings. Each year there is an overall theme for different adventures. Examples are space adventure, athletics, knights, cowboys, circus, American Indian heritage, folklore and the world around us.